Schwartz gives ShiroWoz an Another Blade Watch to use as he pleases. He also asks ShiroWoz if he’s a leader or a follower. Meanwhile at Cafe Jacaranda, Amane Kurihara is cleaning up after a day’s work. Her friend had told her earlier to cheer up and not think about “that guy” that ran out on her. But Amane said it’s not like that. Just then, ShiroWoz walks in and shoves the Another Blade Watch into her. 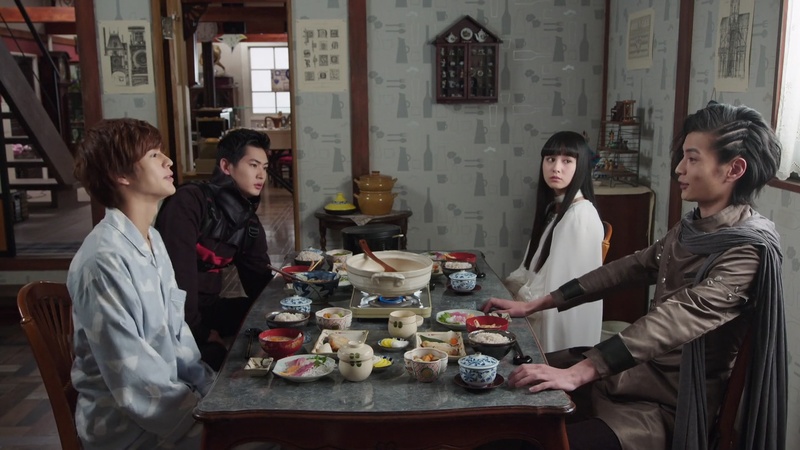 At the shop, Geiz, Tsukuyomi and KuroWoz are sitting at the dining table as a late-waking Sougo pops in. He says he doesn’t have to wake up early any more since he’s already graduated. Tsukuyomi asks what Sougo will do now since he’s not continuing his education. Sougo says he’ll become king of course. They can finally start eating their large, delicious breakfast. Geiz notices Tsukuyomi thinking about what she saw regarding Schwartz and Sougo, but she says they can talk later. 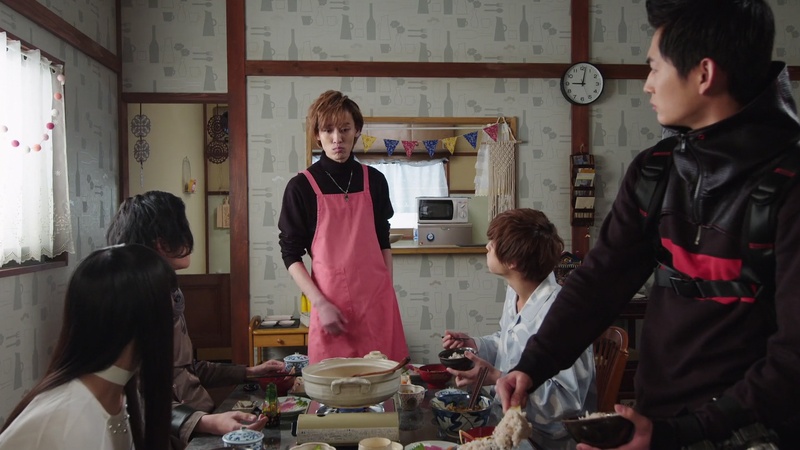 KuroWoz asks Geiz for some more rice. Daiki tells them to enjoy and leaves. But Sougo realizes all the Watches are missing! Actually, Daiki has their Watches, so they can’t henshin. KuroWoz joins them and tells them Daiki is Kamen Rider Diend, Decade’s comrade. 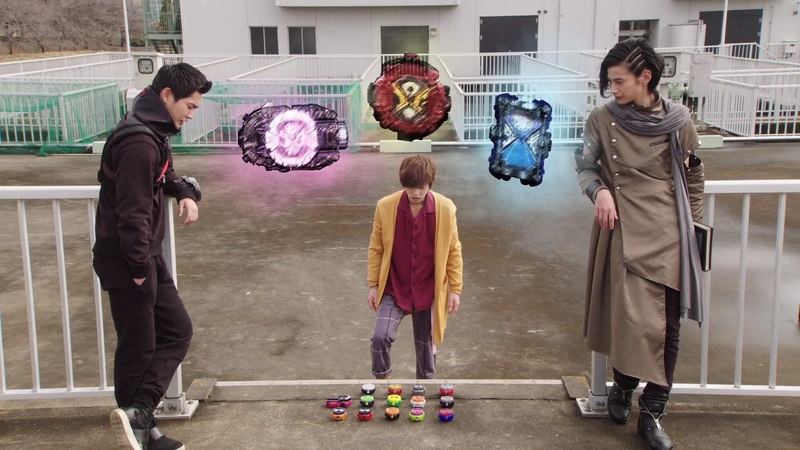 Geiz and Sougo order KuroWoz to retrieve their Watches. KuroWoz henshins, as does Daiki and they battle. KuroWoz goes Kikai and is able to grab most of the Watches from Daiki. Daiki is able to summon Knight and Baron to help keep KuroWoz busy while he can escape. 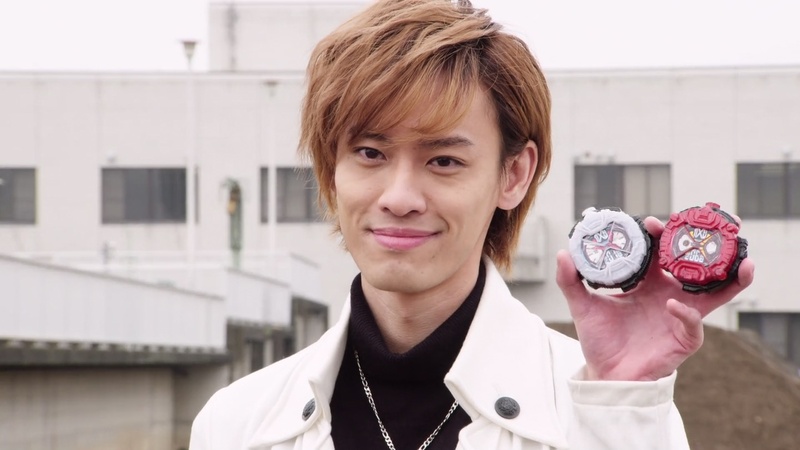 He tells them they can keep the Watches they’ve retrieved, but they don’t include the Geiz, Zi-O II and Geiz Revive Watches. Geiz faults KuroWoz for not retrieving the Geiz Watch as well. But KuroWoz points out he shouldn’t be taking orders from Geiz when it was Geiz who used to take orders from him. Tsukuyomi comes running up to tell them about Another Blade. Another Blade is attacking photo studios looking for Hajime Aikawa. Sougo hurries over and henshins. They battle, but Another Blade is able to escape. KuroWoz says without Zi-O II, they will need the original Rider’s power. He looks in his book and believes that original Rider is Kamen Rider Blade from 2004. But he noticed the year 2019 on the Another Rider, so it has to have been born this year. Geiz suggests they find Kamen Rider Blade in the present. Sougo says Tsukuyomi will accompany him to look for Blade while Geiz and KuroWoz go look for Daiki. Sougo drags Tsukuyomi out. She says she doesn’t think Geiz and KuroWoz will be a good team. But Sougo says since they are roommates now, this is the only way for them to iron out their differences. Sougo asks her just what happened between in the past anyway. Tsukuyomi explains that Woz was actually the captain of their unit in the Resistance. The higher ups had tasked Woz to act as a spy to get close to Oma Zi-O. Once he is able to get intel, they could strike. But he ended up giving them false information. 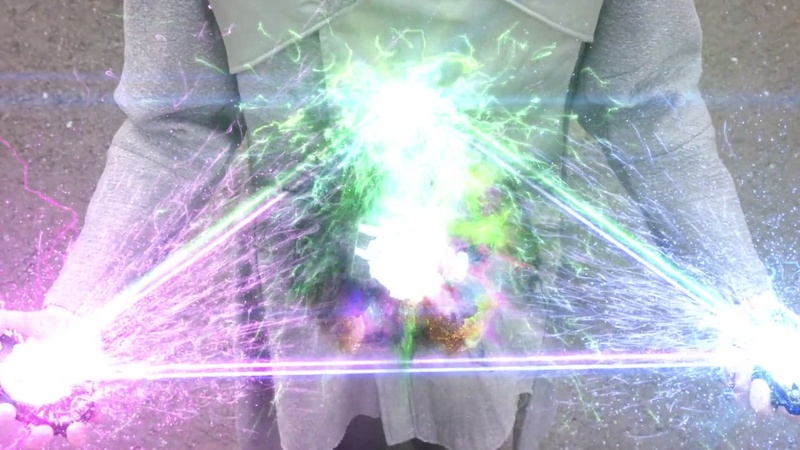 Tsukuyomi says she doesn’t know what happened between Woz and Oma Zi-O, but it is a fact that it was Woz’s intel that lead to the death of all their comrades. That’s why, Tsukuyomi says, she understands Sougo’s feelings, but it just won’t work out between Geiz and Woz. Just then, they hear screams and hurry over to another nearby photo studio. Another Blade is already attacking people. 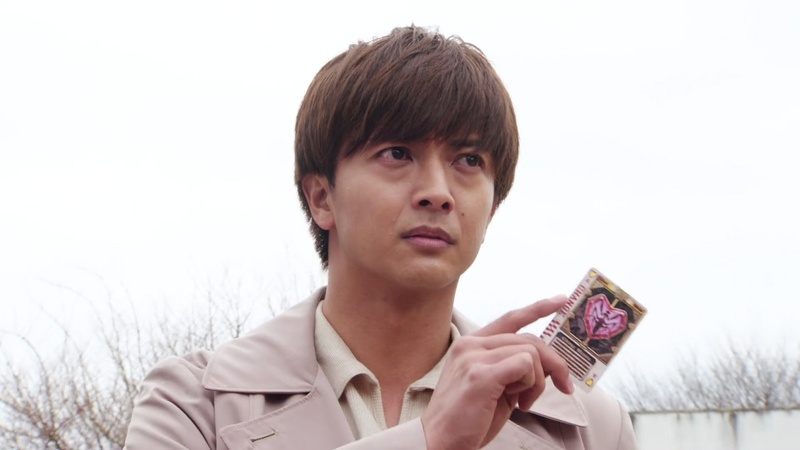 On the other side of town, Daiki finds ShiroWoz and hands him the Zi-O II and Geiz Revive Watches. But ShiroWoz wants his own Watch. Daiki says he only steals treasures he wants and ShiroWoz should take his Watch himself. ShiroWoz decides to write in his book that KuroWoz will battle Daiki. 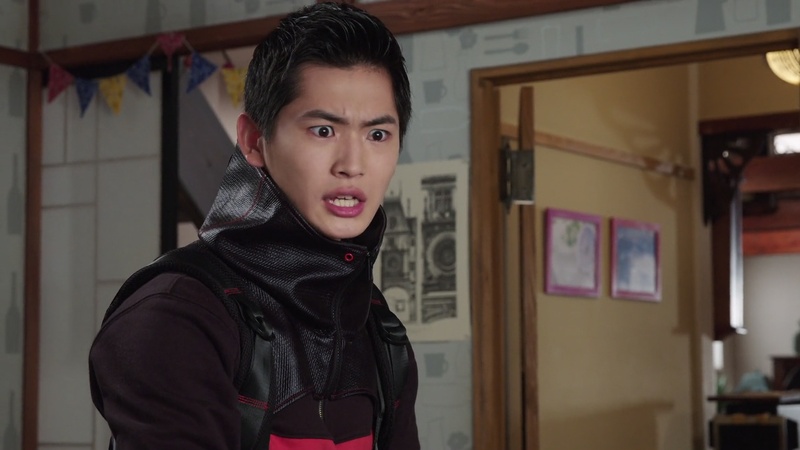 KuroWoz is compelled to the power plant and Geiz follows, realizing it is ShiroWoz’s book. 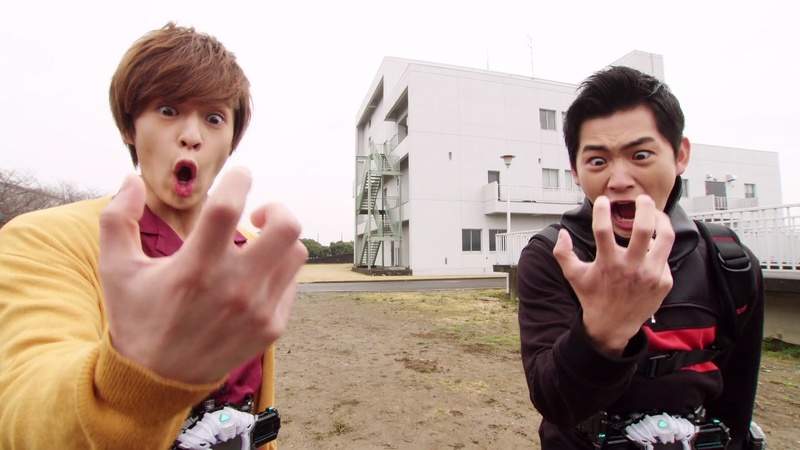 KuroWoz and Daiki both henshin. While the two battle, Geiz approaches ShiroWoz. ShiroWoz reminds Geiz that he is meant to be his savior. Geiz refuses. So ShiroWoz says he’d rather the world end than not be part of the future he wants. Sougo goes Gaim Armor to counter Another Blade’s sword. Just then Hajime Aikawa appears and forbids Sougo to lay a hand on Amane. Hajime henshins to Kamen Rider Chalice. Meanwhile, KuroWoz goes Shinobi and is able to restrain Daiki. He tells Geiz to grab the Watches now, but Geiz just stands there, arms crossed. 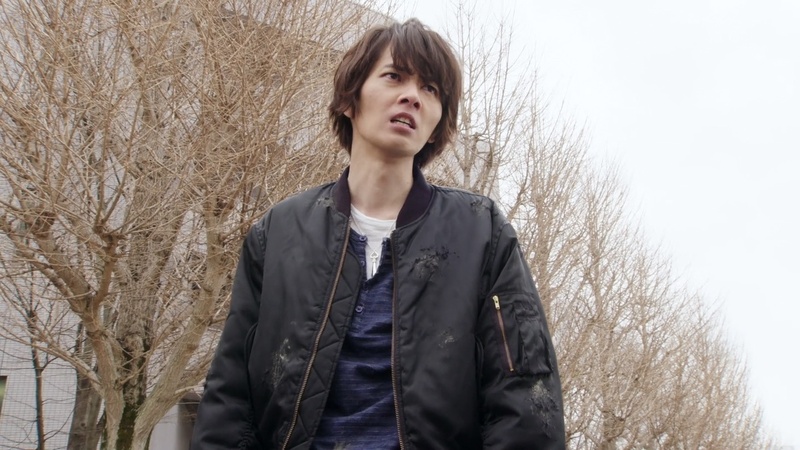 Daiki breaks free and summons Kamen Riders Accel and Birth to help against KuroWoz. Daiki delivers a Final Attack Ride at KuroWoz. He says Geiz is pretty cold to just stand there and watch his comrade be defeated. But Geiz says KuroWoz is not his comrade. Geiz also says KuroWoz is a great liar. Turns out KuroWoz was able to shinobi himself out of the way and now appears behind Daiki. 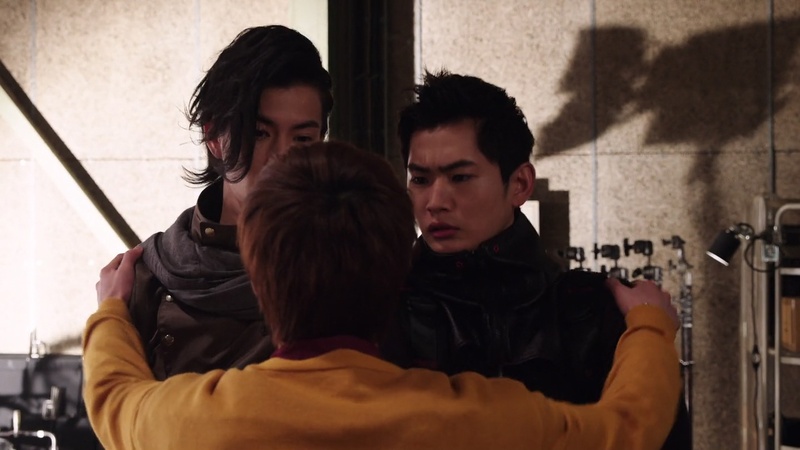 The Geiz Watch pops out of Daiki and KuroWoz tosses it back to Geiz. 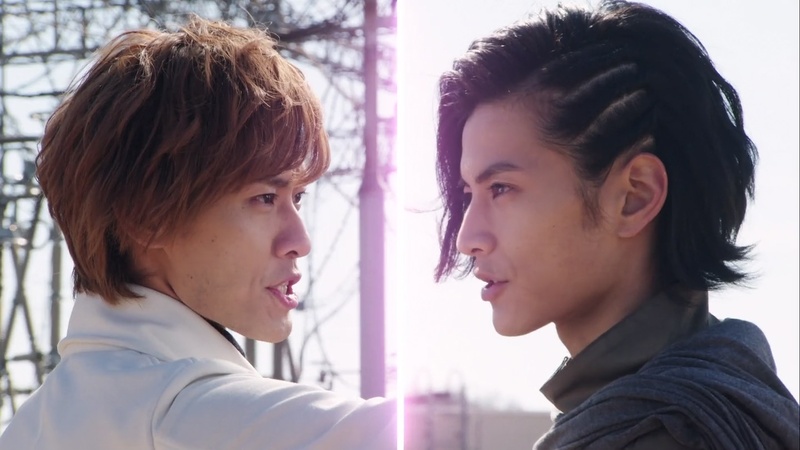 KuroWoz compliments Geiz for figuring out his plan. But Geiz says he knows KuroWoz was planning to use him as bait. KuroWoz is even more impressed. Daiki again says Geiz and Woz make good comrades. But Geiz says they are only roommates. Geiz henshins. Meanwhile, Sougo and Hajime continue to battle. Hajime is able to deliver a Spinning Dance at Sougo, forcing him to downhenshin. 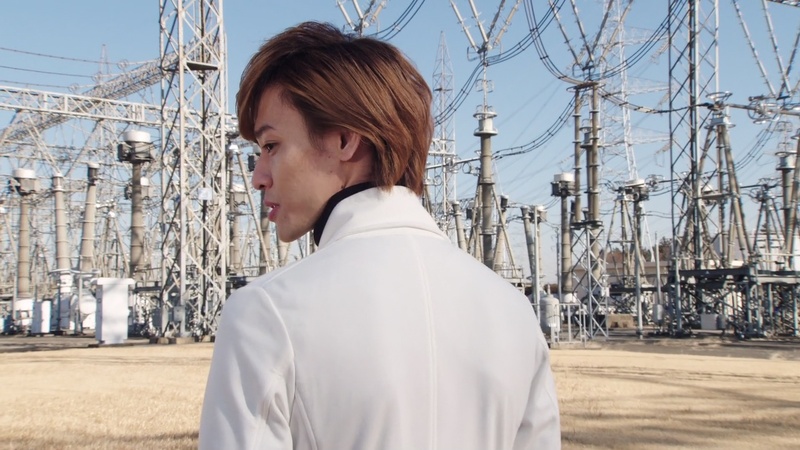 Just then, Kazuma Kenzaki appears, upset that Hajime has used his power again. Kazuma says he sealed Hajime’s power away for his own sake, but Hajime broke that seal. Kazumi henshins to Kamen Rider Blade and he attacks Hajime. Now they battle. Geiz and KuroWoz work together to take care of Accel and Birth. They want the Zi-O II and Geiz Revive Watches. But they’re already in ShiroWoz’s possession. ShiroWoz holds the two Watches in his hand and something amazing happens. It’s always cool to have original actors return and continue stores from their original seasons. Unfortunately, I know nothing about Blade. lol But like previously on Zi-O, the story as presented in this episode was easy enough to follow and still makes you interested in the returning characters. It appears there’s some very interesting and emotional history between Kazuma, Hajime and Amane. Must be a great series. 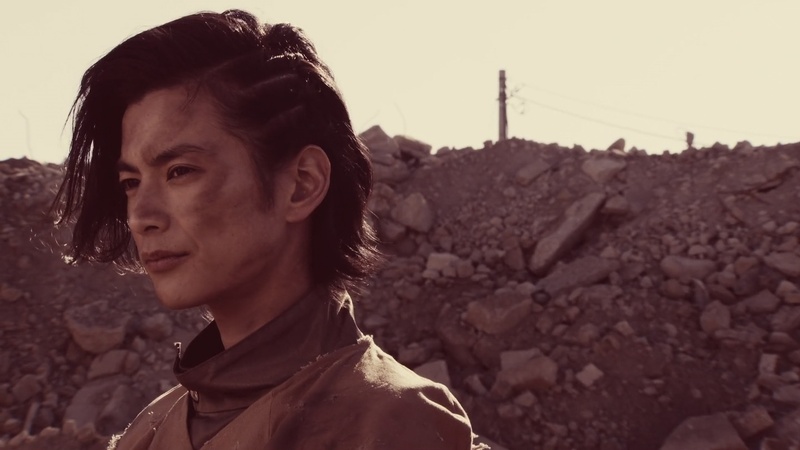 Definitely intriguing to see how their story connects or relates to our Zi-O friends. 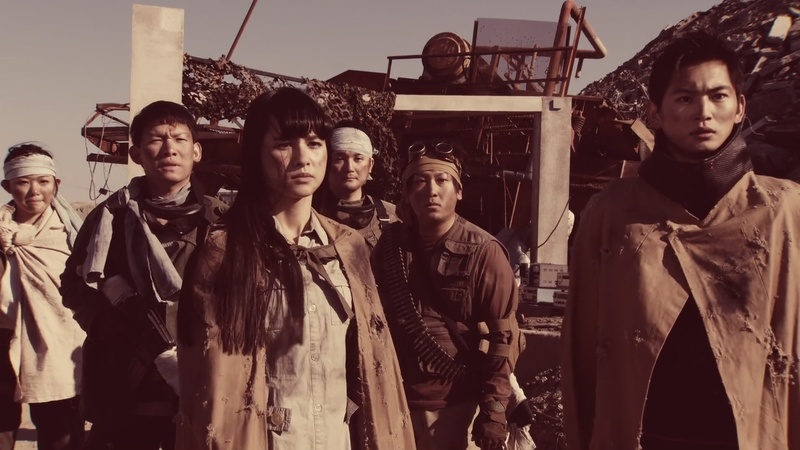 It was great to finally see that little piece of backstory between Woz and Geiz/Tsukuyomi. Woz being their team captain in the Resistance definitely explains a lot about the current dynamic between them. And of course, it’ll be interesting to find out what happened with Woz to have made him betray his comrades. That seems to be theme here. Comrades and teammates? I obviously don’t know much about the dynamics in Blade and how their dynamics were. But Daiki popping up certainly draws some comparisons to him and Tsukasa’s complicated relationship. And yes! I finally finished all 31 episodes of Decade. But I had no idea Episode 31 ended with a cliffhanger. Lol I’ve finished the season, but not Decade‘s story quite yet. 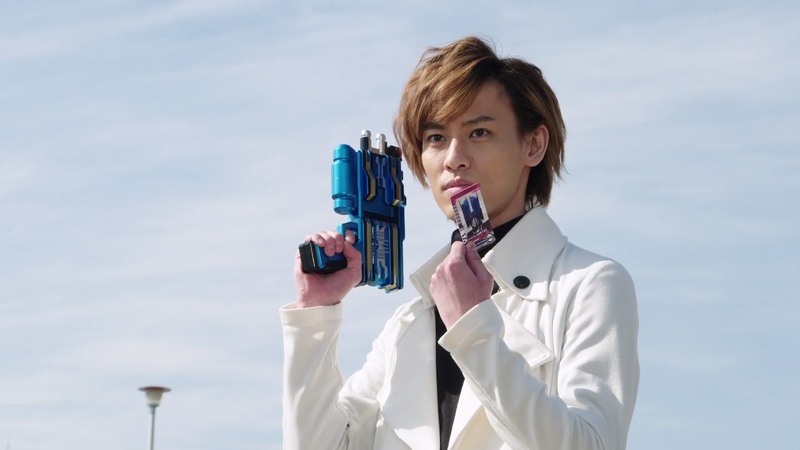 But I definitely have grown to like Daiki Kaito a lot so it was great to see him here and I wouldn’t mind seeing him pop up a lot more like Tsukasa does. With the new power up debuting next week, I’m sure all this comrade talk plays into how it gets activated. A lot of different types of comrades and teammates on display in this episode. Overall a great and full episode! I’m glad Sougo finally graduated from the school. Now I’m really curious about relationship between Geiz and KuroWoz. Could he really betray his comrades? Maybe he’s a reason? Well, we can see this later. Overall, very good episode and now we can wait for Zi-O Trinity! Yeah I hope there’s a great twist with why Woz might have done that to his comrades. When Kazuma achieves his final form, King Form, he learned that repeated use of the form could lead him to lose his humanity and become an Undead himself; which Kazuma used to make himself a Undead Joker like Hajime, so as the quell the Undead Locust apocalypse, give Hajime the peaceful ending of living with a family, while Kazuma wanders away as an Undead, to keep from forcing the two to fight. Kazuma appeared in an Ex-Aid special, as his Undead status helped stop a Kuroto plot. Ooo! Very dramatic and interesting!